Sewer Cleaning is important to keep things flowing as efficiently as possible. Debris in the sewer lines can cause backups and overflows, contributes to noxious odors and reduces capacity. To prevent this, LA Affordable Plumbing utilizes a combination of equipment for sewer cleaning. One of the tools is a high pressure water hose connected to a hydro jetting machine. 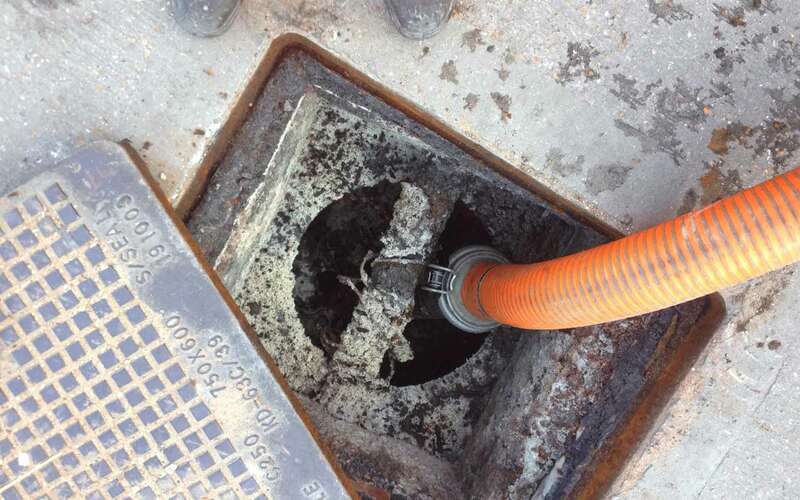 A special nozzle propels the hose up the sewer main line and then is pulled back, flushing the debris out through the sewer line where it is then removed from the system. This is usually done through a clean-out on the property. The clean-out is where the sewer lateral to your home can be accessed. It is located near the perimeter of your home either in the front or back of the property. If your drains are all backing up at one time, this is a major indication that there is a problem in the main sewer line. The main sewer line is where all drains in the household lead to. The main sewer line runs underground from the house and connects to a city sewer line or a septic tank. Your main sewer line can become clogged from use of everyday household products draining into it. On the other hand some sewer issues are simply the result of tree roots that penetrate pipes and if not remedied with sewer cleaning will often require sewer and drain replacement which can be quite labor intensive. If our LA Affordable Plumbing technician has any indication there is a problem with the main sewer line, he can perform a video camera inspection to determine if the pipe is damaged or corroded. The technician will share the video with the homeowner and present options for either sewer cleaning or sewer and drain replacement if necessary. Sewer cleaning can raise a lot of questions, when you call us for your free estimate we will help you by answering your questions and setting up an appointment to speak to one of our highly trained plumbing technicians.